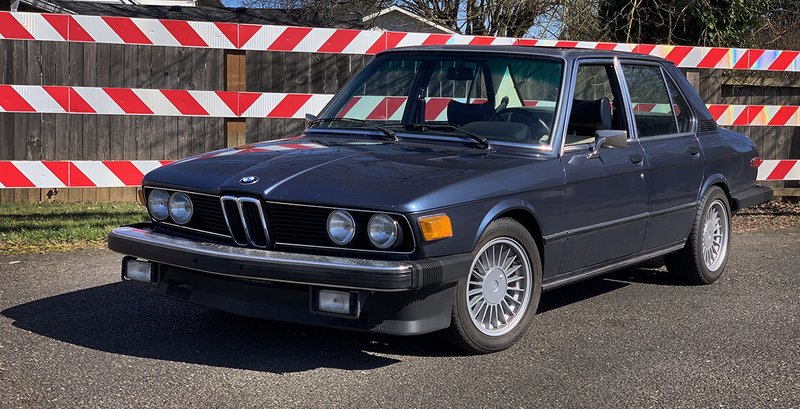 Going from an M240 X Drive to the 1976 530i is a quick lesson in time travel, as well as automotive travel, showing just how far BMW has come in a little over 40 years. The level of refinement is unmistakable, from the operation of the heater and air conditioning controls to the smooth, effortless shifting of the current 8 speed auto box. However, a tremendous amount of core DNA is still hard at work in this three owner 530i, that now only has 107,000 miles on the odometer. Where the new car starts and settles at a perfect idle instantly, the E12 needs a few minutes to reach full operating temperature to fully calm down. And after nearly a year, I still haven’t gotten used to this goofy three speed automatic transmission. Yeah, I know I should have gotten a five speed, but those are so tough to find, I went for a fairly clean car with low miles, low owner history and the hope of someday doing a conversion. In all honesty, the conversion that has made the biggest change for now, is adding a point-less pertronix unit to the inside of my distributor. This 43 year old car starts much easier, and where it used to take about 10 minutes to run on all six cylinders, it now only takes about two. And with the weather getting a lot more pleasant here in the Pacific Northwest, that’s mighty welcome. 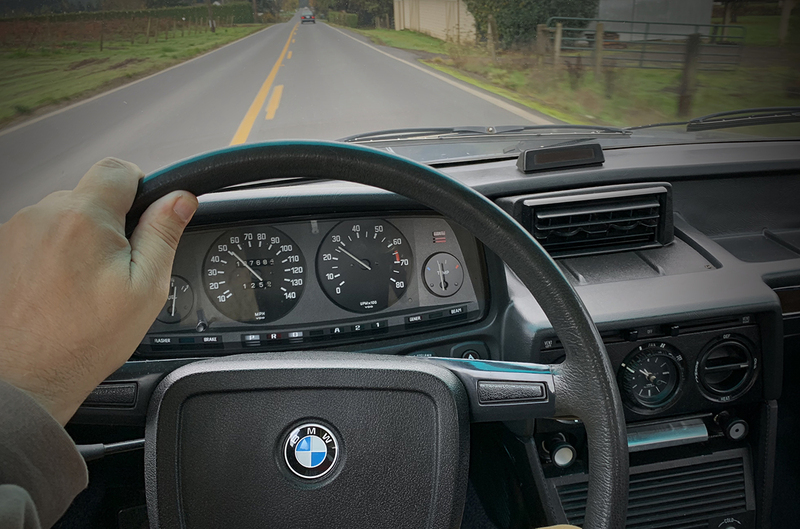 If you haven’t driven an older vintage BMW, you should. Even if you don’t go all the way to owning one, seeking out some people in your local BMW CCA chapter will probably reveal a few nice examples. And more than likely an owner that will take you for a ride, or even hand you the keys to get a taste. You never know, the bug might bite you as well. The 530i is a special car, because it was the first exposure I had to the marque. Growing up in Milwaukee, Wisconsin, there weren’t a ton of BMWs zooming around in this “be American, buy American” town. A handful of doctors drove Mercedes instead of Cadillacs (my father worked for Cadillac and was highly suspicious of anything foreign made) and the art teacher in our high school drove a safety orange Volvo 244. 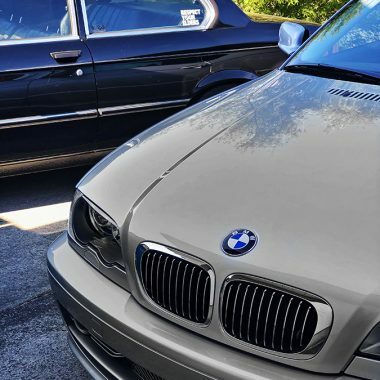 Oddly enough, the manager at the camera store drove a Sienna Brown 2002Tii, and my boss at the photo lab I worked in had a 530i in what I think was the same color. He was a wacky guy with a couple of Volvos, a pair of SAABs and an Audi Fox as well. “Gotta have at least six cars,” he once told me. “That way, even if three cars are in the shop, you’ve always got something to drive.” I thought he was nuts, until one week when two of his cars were in the shop and his soon to be ex wife decided to drive the Volvo wagon into the garage with both of their bicycles still on the roof rack. “See, I told you” he said with a wry smile. But the day finally came when he trusted me with enough runs in the SAAB to hand over the keys to the 530. I fell in love with that smooth inline six at that very moment, and all of a sudden the V8 in my Gremlin really sucked. So much for that Holley 4 barrel carb and loud exhaust, this was refinement beyond anything I’d ever experienced. Little did I know it would be years until I got my first BMW, but that’s another story for another day. Once warmed up, the current E12 is really a blast to cruise around in. The chassis is tight, the manual sunroof and windows work effortlessly and it will zoom along at 90mph all day long, though the final drive ratio is somewhat high. 3000 r.p.m. equals 62 miles per hour, so driving much faster than 80 on the motorway chips away at fuel economy. 70 is about the sweet spot. 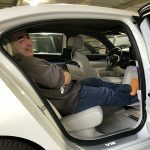 The big bucket seats are like Barcaloungers, lacking the fit and firmness of the seats in a modern BMW, but comfy nonetheless, and the cabin is relatively quiet, extremely so for a 40+ year old car. And the trunk (with full toolkit in the lid) is cavernous – easily accommodating massive Costco runs. One of the best things about living with the E12, is the amount of smiles this car attracts, as well as a completely different vibe. Everyone from the kids at the coffee drive through to M car drivers give it a thumbs up. I usually get “chick car” in the M240, even though with XDrive, BMW claims a 4.2 sec 0-60 time. Last time I checked, that’s about a tenth less than a current Porsche 911 can muster. I’m married to a Southern girl, and she likes to stress the importance of strolling versus running. Perhaps that’s the best thing of all about the 530i. It does stroll incredibly well. Life after DCT...or how I learned to Love the Paddle.